Since Florence Nightingale published her 19th-century book “Notes on Nursing,” the nursing profession has developed from a low-paying, undesirable career into a highly acclaimed and respected profession. According to the American Nurses Association (ANA), professional nursing excellence centers on prevention of illness, alleviation of suffering, diagnosis, treatment and advocacy in the care of persons, families and communities. The International Council of Nurses offers a Code of Ethics for Nurses. The code is a modern guide encompassing actions, values and needs of professional nursing. The code emphasizes nurses' obligation to respect patient dignity and patient rights, including the right to life. The code encourages nursing groups and associations to advocate for patients through lobbying and political action, but emphasizes that patient advocacy begins at the basic nursing level. One of a nurse’s primary roles is to prevent illness through patient education and patient care. 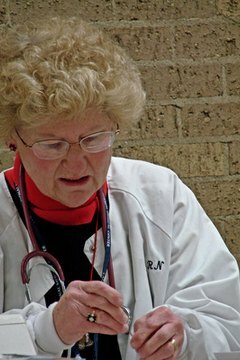 For example, a National Heart, Lung and Blood Institute smoking education program encourages nurses to give patients advice on how to quit smoking, and calls such intervention a tool to prevent lung cancer, emphysema and heart disease. Standards of professionalism call on nurses to find resources to alleviate pain and discomfort caused by illness or injury. The ANA describes the post-treatment period as a time when nurses focus on patient response, and treat the whole person in an effort to overcome physical and mental suffering. This holistic approach defines how nurses link doctor, patient, family and others in the health care system to help coordinate patient care. Nurses are called to be professional advocates and caregivers in the diagnosis and treatment stages of medical care. The ANA's National Center for Nursing Quality (NCNQ) promotes this nursing standard through medical research, collaborative learning and an emphasis on patient safety. The NCNQ keeps the largest database of information collected from nurses in acute care settings to link nursing care with patient outcomes. This collaboration ultimately helps ensure that health care delivery settings are in place to improve diagnosis time and accuracy, and improve patient treatment in hospitals and outpatient clinics. Nursing is a challenging profession that tends to attract self-motivated, lifelong learners. A nurse’s education never ends, because of the need to stay current on health care issues and changes in medical theory and practice. O'Hanlon, Teresa. "Define Professionalism in Nursing." 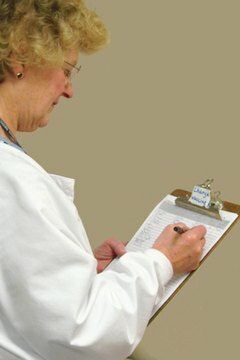 , https://careertrend.com/about-6734050-define-professionalism-nursing.html. 05 July 2017.